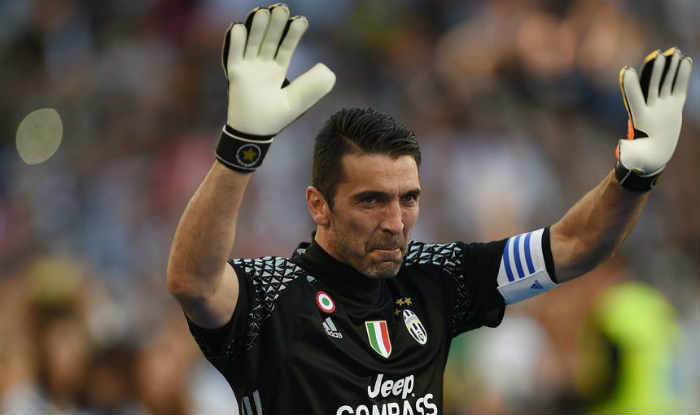 Football legend and veteran Italian goalkeeper Gianluigi Buffon has announced his retirement from International football after Italy failed to qualify for the 2018 world cup in Russia. Speaking after Italy's failure to qualify for the World after a goalless stalemate with Sweden, the 39 year-old goalkeeper said: "It is upsetting that my last match decided we didn't qualify for the World Cup. I'm sorry. Not for me but for Italy. We blew something that could have meant so much. The on;y regret is that it ended like this." Buffon made his debut in October 1997 and has 175 caps for the national team. Danielle De Rossi and Andrea Barzagli also announced their retirement from the national team while defender Giorgio Chiellini is expected to join them in leaving the team. The fate of coach Gian Piero Ventura is not yet sure, but many in the country, including influencial papers like La Gazetta are already calling for him to be replaced by either Carlo Ancelloti, who recently left Bayern, or Antonio Conte, who is the current Chelsea manager. Buffon doesn't believe all is doomed though, saying: "There's definitely a future, because we have pride and strength. We're stubborn and hard-headed. After ugly falls, we find a way to rise back up. A lot of these kids are talented, including Gianluigi Donnarumna and Mattia Perin. I wish them a lot of luck."